Poslingford is hardly the centre of the universe, and when I directed Aidan off the road to Stansfield onto a lane that brought new meaning to the adjectives 'narrow' and 'bendy' I assumed that we would end up in a ploughed field at the very least. However, when we reached the place on the map where the good Dr John Blatchly tells me the former church of Chipley was, it was all very domestic. 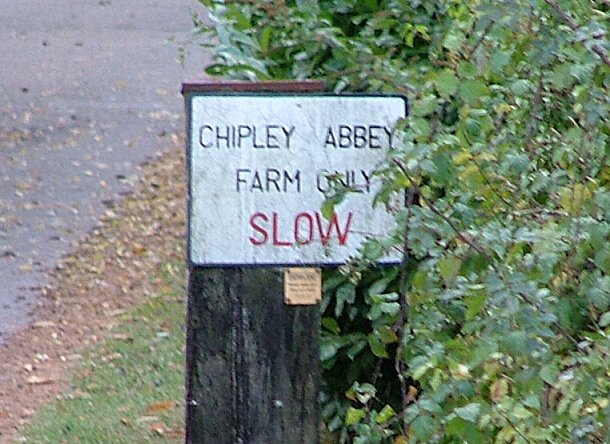 A sign says that it is Chipley Abbey farm, but I also knew that the church had been mentioned in the taxation lists of 1254, and had been mentioned again in 1291. This is all noted in Blatchly's scholarly supplement to the 1975 edition of Cautley (a shame that the person who did the 19th century churches supplement wasn't so exacting). I realise this all makes me seem very train-spotterish. If you want to feel even sorrier for me, I dropped my Bury St Edmunds landranger map when I got out the car, and didn't notice. But I have been to the ends of the earth - or the ends of Poslingford, which amounts to the same thing. No dedication is known for the former Chipley parish church. 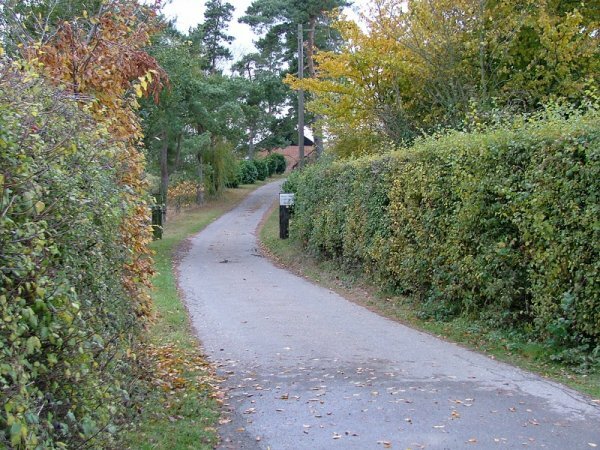 It was located at OS reference TL761499, which is accessible from the Poslingford to Stansfield road. No trace remains.